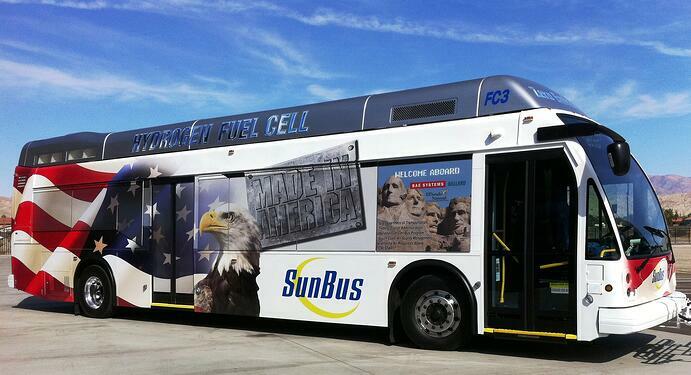 Are Fuel Cell Electric Buses Ready for Commercial Deployment? It’s about establishing a protocol, setting expectations, recording the outcomes and accurately reporting the finding. At this point in the development process, the National Renewable Energy Laboratory considers Fuel Cell Electric Buses (FCEB) designs to be ready for full-scale validation in relevant environments. The manufactures’ goals for these demonstrations are to verify that the fuel cell buses performance meets technical targets and to identify any issues that need to be resolved. The U.S. Department of Energy and the Federal Transit Administration (FTA) have set an ultimate durability performance target of 25,000 hours (approx. four to six years operation) for the fuel cell propulsion system, with an interim target of 18,000 hours for 2016. Over the past year, manufacturers have made significant progress towards meeting that target and NREL has published their findings in a recent report entitled: Fuel Cell Buses in U.S. Transit Fleets: Current Status 2015. NREL documented a single fuel cell power plant that had reached 20,000 hours, exceeding the 2016 target. Of the 16 fuel cell power plants included in the data set, 75% (12) have surpassed 10,000 hours of operation. The average hours accumulated is 10,102. FCEB continue to show higher fuel economy compared to baseline buses in similar service environments. The Federal Transit Administration's target for FCEB fuel economy is 8 miles per diesel gallon equivalent (29.4 litres/100 Km) – which is approximately two times higher than that of typical conventional diesel buses. Big strides still need to be made. Everything is not yet perfect. The current costs for hydrgoen fuel cell bus technology, both capital costs and operating costs, are still higher than those of conventional diesel and compressed natural gas. This is no surprise as these existing transportation technologies are very mature and the support infrastructure is well developed. NREL plans to continue monitoring and evaluating these ongoing demonstrations with results to be included in next year’s status report. We must look beyond today and evolve transit technologies that are the future: transit that is better for the environment in both emission output and product durability. Fuel Cell Electric Buses possess incredible potential to meet the future needs for mass transportation. To receive a full copy of NREL's report mentioned above, click on "Download" below.